Home » Meet us at Kubecon 2018 in Seattle! 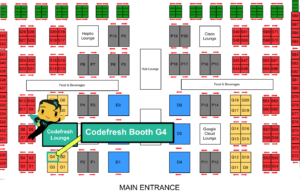 The Codefresh team will be showing off some amazing new features at Kubecon CloudNativeCon North America this year in Seattle and we want to meet you in person! We also would like to invite you to our Happy Hour Networking event at Gameworks! Join us for unlimited free gameplay, drinks, and appetizers just steps away from the Washington Convention Center. It’s happening Wednesday, December 12th from 5-7pm (before the all-attendee party). Meet and mingle with the Codefresh team, Logz.io, & Alcide, and challenge your peers to a friendly game or two. RSVP here -Space is limited! 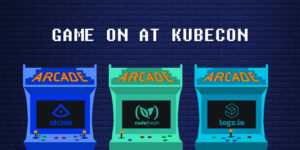 We can’t wait for Kubecon & hope to see you there!